An activist told Sputnik they voted forBrexit because they wanted toreclaim control oftheir own country. “We don’t want tobe part ofthe federal European superstate that’s going toerode our rights and take away democracy. This is Britain. We are not European. We have never been European. This is our land and we are taking it back. If the political class don’t likeit, they will see a revolution likethey’ve never seen before. It is time totake upthe spirit ofOliver Cromwell, rise upand reclaim what’s rightfully ours,” a protester said. 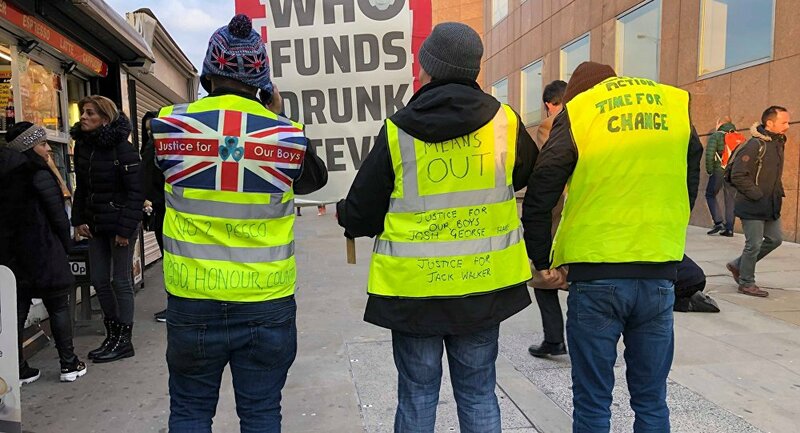 Inspired bythe recent “giletjaunes” movement inFrance, the London protest saw activists onFriday protest outsideDowning Street, aswell asWestminster Bridge, Tower Bridge and London Bridge.